The SUV market is growing in popularity, and with it, the number of options are growing. Two of the sharp and versatile mid-size SUVs out there include the 2019 Ford Edge and the 2019 GMC Acadia. The team at Westlie Ford would like to make your research easier, so they have put together this head-to-head comparison to give you the specs you need. Do you want to know about GMC Acadia and Ford Edge engines, towing capabilities, interior design, cargo space, and safety? Then you’re in the right place. 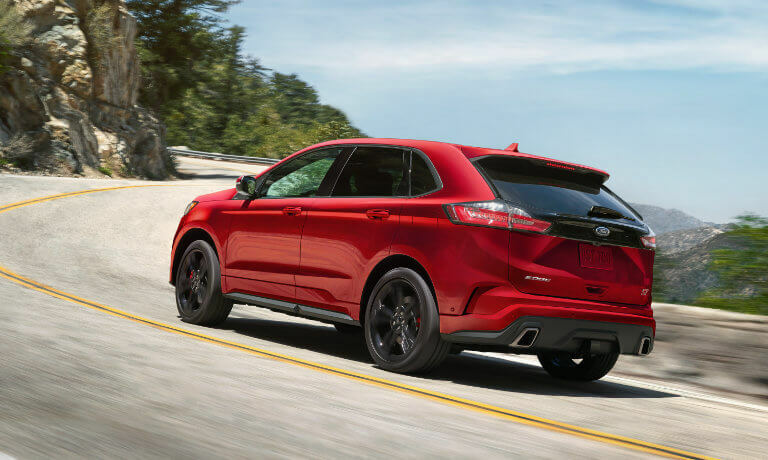 In this comparison guide, our experts have chosen to focus on the 2019 Ford Edge SEL, starting at $33,300 MSRP, and the 2019 GMC Acadia SL, starting at $30,195 MSRP. 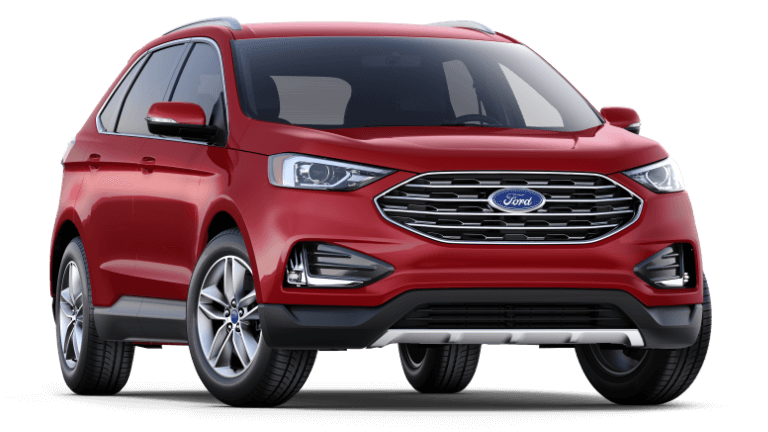 If the Ford Edge is already the vehicle you’re leaning towards, you can explore our inventory, learn about our lease and finance incentives, and schedule a test drive with the model of your choice. If you’d like to speak to a representative, feel free to call us at (360) 602-2490 or message us online. The 2019 Ford Edge and GMC Acadia both feature cruise control and automatic stop-start technology, but that’s where the similarities end in terms of power and handling. The Edge’s Twin-Scroll 2.0L EcoBoost® engine delivers eight-speed automatic transmission, whereas the Acadia only has six-speed automatic transmission. 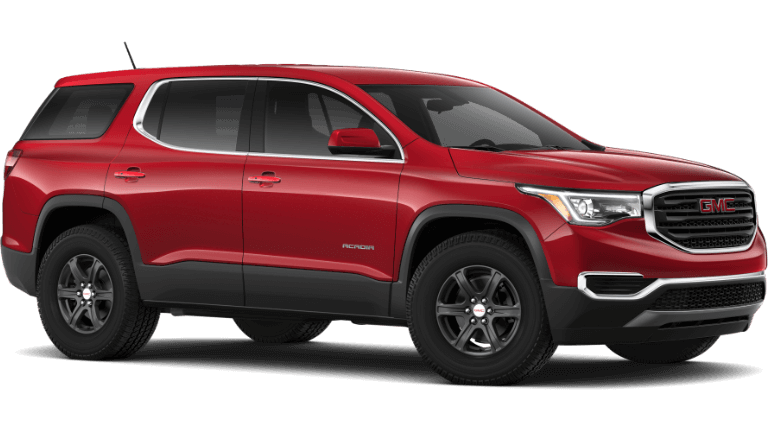 As a result, the Edge’s MPG, horsepower, torque, and hauling capacity are all higher than the Acadia’s specs. You can see this reflected in the table below. About the only similarity that the Ford Edge and GMC Acadia share in terms of interior design is that they both come with leather-wrapped steering wheels. Although they both offer driver and front passenger recline options, the Acadia’s recline options are manual and only go four ways for drivers and two ways for front passengers. By comparison, the Ford Edge offers ten-way power driver recline and six-way front passenger recline. In terms of cargo space, the Ford Edge has more trunk space with 39.2 cu.-ft., whereas the GMC Acadia can only boast 12.8 cu.-ft. of trunk space. 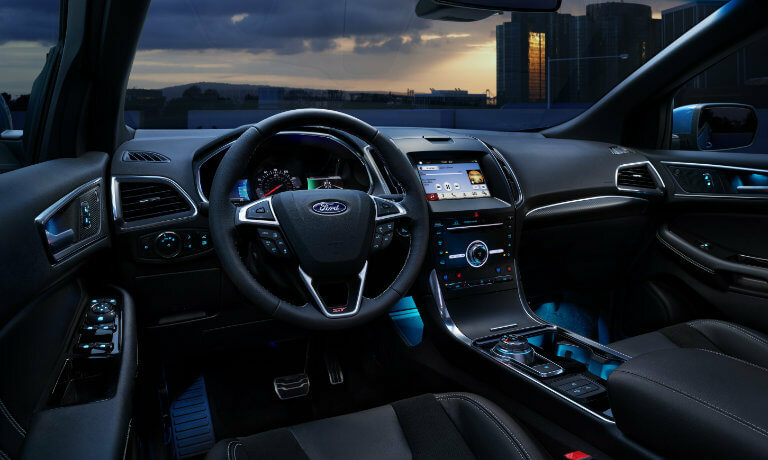 If you’d like to know a few of the Ford Edge’s other interior features, have a look below. 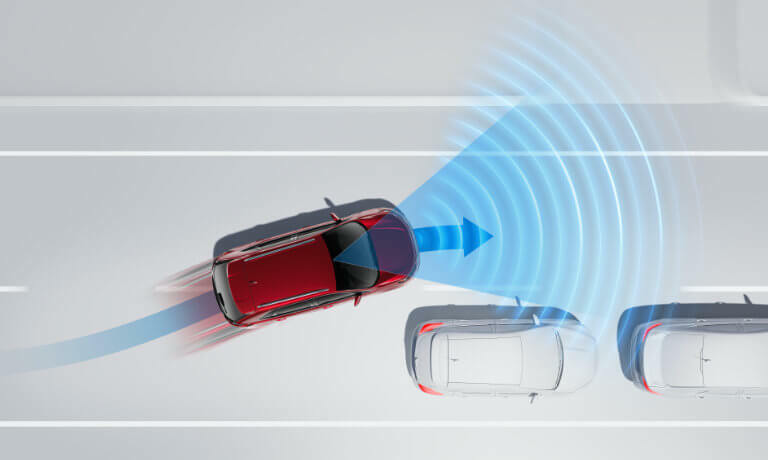 The GMC Acadia and the Ford Edge share some similarities in the safety realm, such as their rear view cameras and tire pressure monitoring systems. 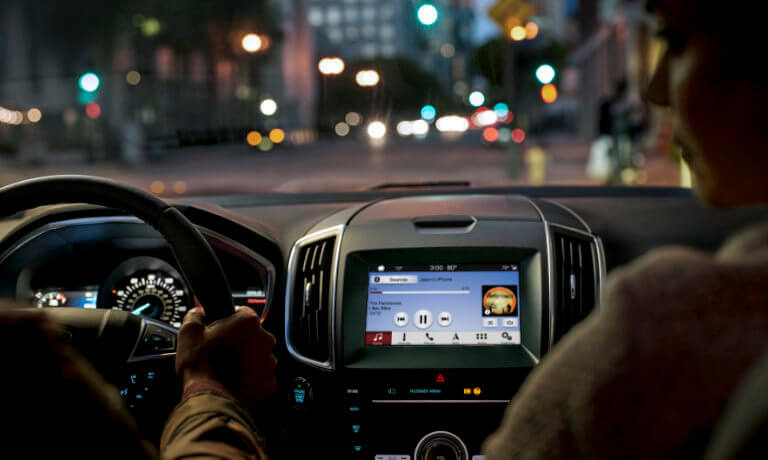 However, the Ford Edge’s safety systems far surpass the GMC Acadia’s features. Have a look at the list below to see just a few of the Edge’s standard safety specs. If you think you’re ready to take the next steps in acquiring a Ford Edge, have a look at our inventory page, check out our lease and finance offers, and then schedule a test drive at Westlie Ford in Washougal, WA! If you have any questions, feel free to call our team at (360) 602-2490 or contact us online.